With so many species found in the Gulf, it’s important to know what’s in and out of season as well as current slot and bag limits. We love this easy, interactive chart of Gulf fishing recreational seasons courtesy of the Florida Fish and Wildlife Conservation Commission. The area from Bonita Springs up to Boca Grande is one of the most prolific spots in the country to catch tarpon. They can be caught off the beaches, in the passes, in the rivers, and in the bays all the way up the Gulf coast for four solid months during their migration north. Hooking a tarpon is one thing, but do you know how to handle these sportfish? Check out these tarpon handling tips. These hard-fighting fish started coming to life earlier this month, so boaters are heading to shallow saltwater, under bridges, and the areas just off beaches to find them. Note: Snook are still catch-and-release in state waters from Pasco County down through Gordon Pass in Collier County. This means they will remain catch-and-release through August 31 due to their regular annual season closure. 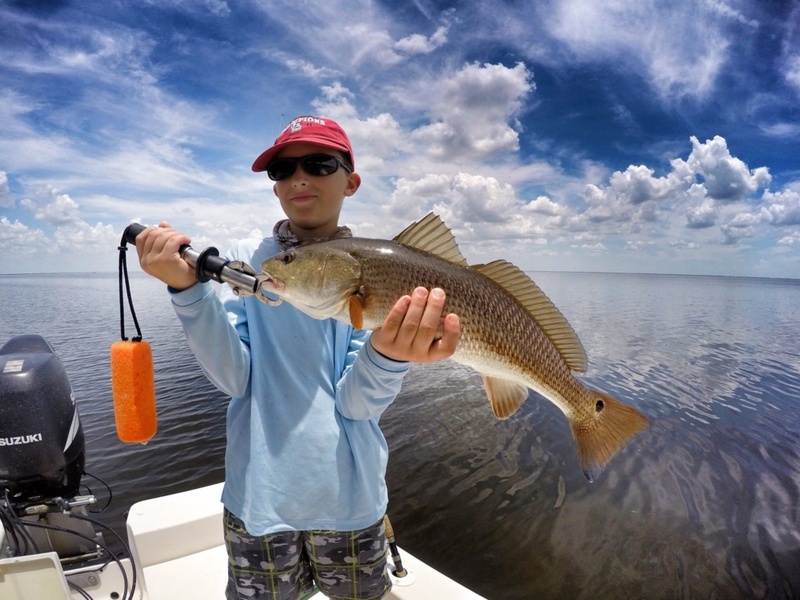 Hit hard by red tide last year, redfish are still recovering along our coast and remain catch-and-release in state waters from Pasco County through Gordon Pass in Collier County until May 10, 2019. The Coastal Conservation Association released 16,000 redfish (mostly juveniles) throughout SWFL waterways in recent weeks, so if you catch a red anywhere from New Port Richey to Marco Island there’s a chance it’s part of this replenishment effort. Before you head out with your gear, make sure everyone has the proper fishing license. Remind your guests to snag a freshwater, saltwater, or combination license either online or in person. Be sure to mark your calendar for the handful of free fishing days throughout the year. They apply to residents and non-residents so take advantage of this great opportunity to get friends and family out on the water and introduce them to the sport. About 70% of fish spend at least one part of their life cycle in beds of seagrass because they provide a place to hide from larger predators or start their nursery. When boat propellers slash into seagrass beds, not only does water clarity decrease, but a large majority of Florida’s fish species are affected. According to beseagrasssafe.com, over 30,000 acres of south Florida’s seagrass have been scarred by boat propellers. Keep this number in mind on your next fishing trip and trim your motor up in shallow water to prevent further damage to this crucial ecosystem. Whether you’re heading out in your own boat or kayak or enlisting the help of one of our many local fishing guides, spring fishing in Southwest Florida can’t be beat. Don’t forget to tag @GoBoatingFlorida in a photo of your catch and you could be featured on our page!